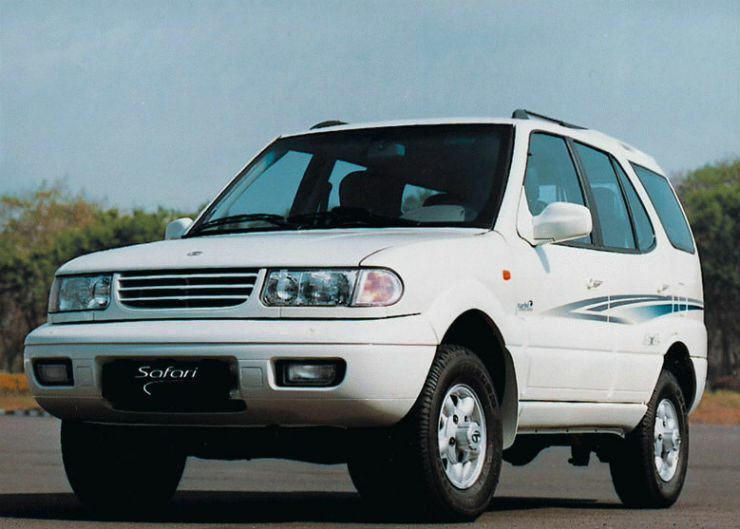 Tata Motors has finally pulled the plug on the Safari DICOR, an SUV that made its debut way back in 1998. Production has been stopped, and the SUV has also been taken off the Tata Motors website. After nearly 2 decades of production from Tata’s Pimpri factory off Pune, the Safari will go down into the history books as the first vehicle that gave Indians a taste of what a luxury SUV is all about. Tata will continue building the Safari Storme, which will now be the only body-on-ladder 4X4 SUV that the automaker sells in India. The Tata Safari was launched at the Auto Expo in 1998, long before common rail direct injection (DICOR) technology became common place. Back then, the Safari was priced at 8.25 lakhs (ex-showroom Mumbai), and was bought mainly for the massive street presence and the comfort it offered. It wasn’t really a powerful SUV as the 2 liter TCIC (turbocharged, intercooled) diesel engine that it came with made only 90 Bhp-186 Nm. This meant that the Safari, which weighed a hefty 1,920 kilograms, felt under-powered. But most buyers didn’t mind as this SUV sold mainly for the comfort it offered. 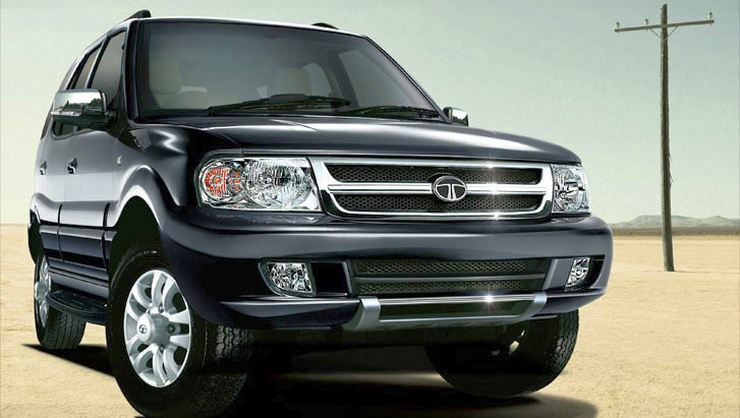 5 years later, Tata added a 2.1 liter petrol engine to the Safari. With 135 Bhp on tap, the Safari felt sprightly but the petrol engine’s fuel efficiency of about 5-7 Kmpl meant that the petrol version of the SUV died a rather quick death. And the 9.35 lakh price tag wasn’t helping matters either. Yes, the petrol version was pricier than the diesel. Two years later, in 2005, another diesel engine came along, along with a major facelift. Reason? Mahindra has just launched the Scorpio, and Tata had to respond. Emission norms had gotten tighter, too. A complete facelift saw Tata loading up the Safari with features, adding a brand new 3 liter DICOR engine to the equation, and massively cutting the price. With 115 Bhp and about 300 Nm of torque, the Safari finally got the engine it deserved. And at 6.4 lakh rupees, it screamed value. But the 3 liter DICOR engine wasn’t the most reliable unit around, forcing Tata to launch one more engine – this time a much smaller unit but with more power. The Tata Safari DICOR was born in 2007, with a 2.2 liter turbodiesel engine fitted with common rail direct injection technology. The motor made 140 Bhp-320 Nm. As always, Tata offered the Safari DICOR with both rear wheel drive and four wheel drive options. With ABS and twin airbags and bucket-load of features, the Safari DICOR was finally a well-rounded SUV. This very vehicle motored on for about 10 years, and has now finally driven into the sunset. The Storme has finally succeeded the Safari. « Rolls Royces, Lamborghinis, Ferraris & other super expensive cars get 1 crore+ price cuts in Maharashtra; No, it’s not due to GST!